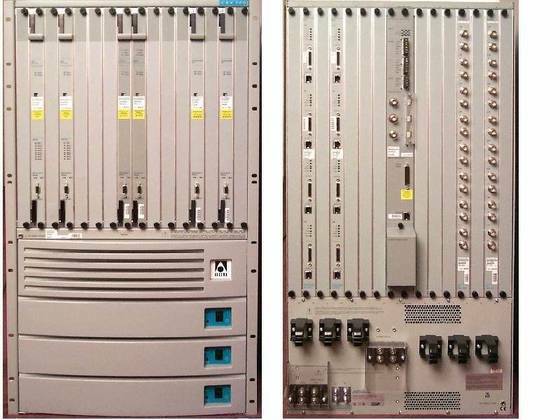 TruePulse is looking to purchase Lucent CBX500 11046A and 11073A-128 boards. Please note that the CBX500 has gone through multiple owners, so the boards may also be known as the Ascend CBX500, Alcatel-Lucent CBX500, or Nokia CBX500. The 11046A has a HECI code of BA8IMWS. It is a Lucent CBX OC3c Connector Adapter. The 11073A-128 has a HECI code of BA1A6WK, BAA5BAB or BA1ANWK. It is a Lucent CBX 8-port DS3 Controller w/128MB RAM. The CBX 500 is a multiservice, high-capacity ATM switch (5 Gbps) that supports ATM, Frame Relay, and IP switching at DS1/E1 through OC-12/STM-4 rates. In addition to the standard ATM user interfaces, the CBX 500 provides fast 100-Mbps Ethernet IP and high-density DS3 and channelized DS3 Frame Relay/IP interfaces. The 16-slot, high-performance CBX 500 uses high port densities (up to 64,000 nodes per network — up to 16K virtual circuits on OC interfaces), dedicated signal processing, advanced distributed processing, and Virtual Network Navigator (VNN) topology management. These features provide integrated access to the full range of network-service offerings and support a virtually unlimited number of end users. We are searching for other Lucent/Nokia CBX500 modules as well as other manufacturing discontinued Lucent/Nokia platform including from the DMX 1665 platform . Please contact TruePulse if you are looking at buying or selling any of these modules.